Customers can sign up for paperless billing for their Village Services Bill. Customers who register for this paperless option will no longer receive a paper copy of their bill in the mail. Please note authorization must be received before the 25th of the month. If the form is completed after the 25th of the month the next bill will be mailed and the following bill will start paperless. I hereby authorize the Village of Glen Ellyn to enroll my Village Services Bill in paperless billing. This authorization will remain in effect until written notice of termination or modification is given to the Village of Glen Ellyn. In the event that my email address changes, I understand that I am responsible for notifying the Village in a timely manner. Changes must be received before the 25th of each month. I understand it is my sole responsibility to ensure that my information is accurate. I understand that in the event that I do not receive notification of my paperless bill, it is my responsibility to log into my account online to check on my paperless bill and account balance(s) to ensure my account is paid on time. I also understand it is my sole responsibility to pay my Village Services bill on-time to avoid late fees, collection activity or disconnection of service, regardless of whether I received the paperless notification. 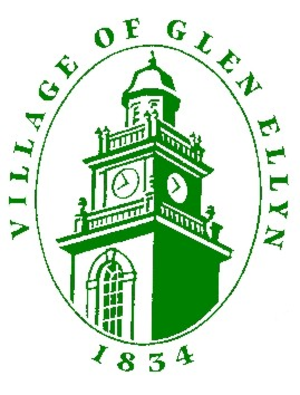 I authorize the Village of Glen Ellyn to enroll my Village Services Bill in paperless billing.